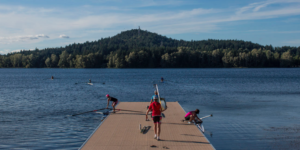 Victoria City Rowing Club will be hosting the second in the summer’s Friday Night Challenge with 500m out-and-back sprints on Elk Lake. 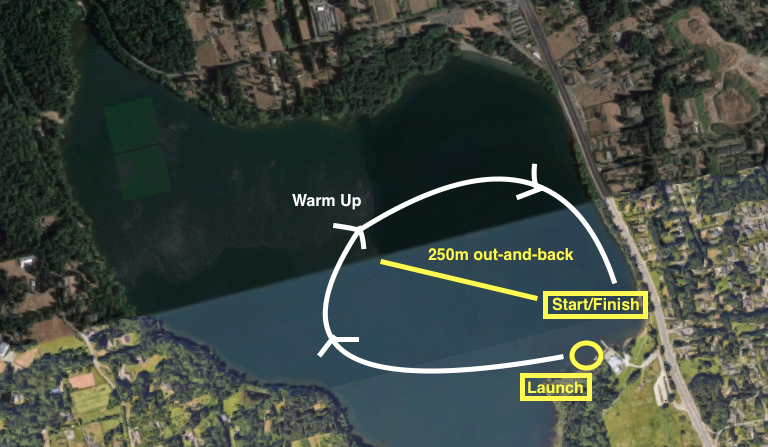 Participants will have the opportunity to launch from beautiful Eagle Beach and take advantage of Elk Lake’s large size for a nice, long warm up and cool down loops. Participants should arrive at 6:00pm for a coxswains meeting at 6:15pm. Racing will begin at 7:00pm and will be followed up by a BBQ at the Victoria City Rowing Club Boathouse. The cost of the BBQ is included in the registration fee. If any participants are unable to bring their own boat, please contact Katie Bahain-Steeenman at vcrcprograms@gmail.com to arrange a boat rental. Click here to register and pay the $15 fee. All participants must be members of Rowing BC and Rowing Canada Aviron. Even if Elk Lake is not in your neighbourhood, we encourage you to attend! From the Lower Mainland, take the 3pm ferry from Tsawwassen to Swartz Bay. From the Swartz Bay Ferry Terminal take Highway 17 to Elk Lake (about 20 minutes). The address for the Victoria City Rowing Club is 5100 Patricia Bay Hwy in Victoria. There are 2 free parking lots that can both be used. When you turn off the highway you can park in the upper or lower parking lot. Do not come down the fire lane or use the parking in front of the boat launch. While you’re in Elk Lake, check out some of the gorgeous nearby beaches in Cordova Bay. Visit the World Rowing Coastal Championships venue in nearby Sidney and the Butchart Gardens and Sea Cider Farm and Ciderhouse. A short drive from downtown Victoria, take advantage of the restaurants and shops located next to the Parliament buildings and the Victoria harbour.